The undisputed king of music in Tanzania and East Africa at large, Diamond Platnumz is in hot soup at the moment and he might be arraigned in court if allegations by a top female radio presenter in one of Tanzania’s chief radio stations are anything to go by. Tanzania’s Clouds FM stunning radio presenter, The Bawse alias Diva recently threatened to file a suit against the glitzy and ostentatious singer for tarnishing her name and apparently threatening to beat her up during a live radio show. Bdozen, another Clouds FM presenter wanted to know what transpired between the two and all did not go well. The two went wild and exchanged bitter words with each accusing the other of erroneous doing. “Mimi nimewahi kukuzungumzia vibaya where,”Diva asked Diamond. Speaking to a Tanzanian tabloid after the eventful show, Diva revealed that Diamond had tried to beat her up in the studio but was stopped by his colleagues. “Amenidisrespect, amenidhalilisha kama mwanamke. Evidence is everywhere, the clip is going viral na inaniaffect mimi as a woman, inaniletea mateso in my life right now. Alinitukana, alinitishia kunipiga mpaka aliposhikwa na wenzie,” the sassy female presenter states. Diva further claimed that she has been receiving unending abuses from Diamond’s fans adding that she was extremely hurt as even her late parents were being abused. “My dad, mama yangu amefariki wanamtukana matusi, inauma. Sina moyo wa chuma mimi, I am human.” She observed. 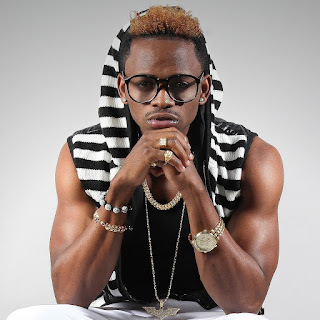 According to Tanzania’s Bongo5, Diamond’s management is not scared of Bawse'’s threats.